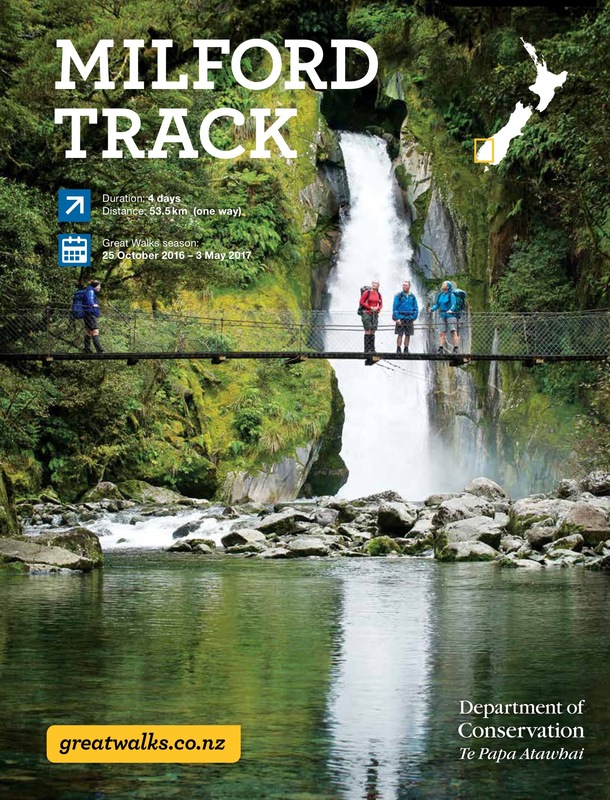 The Milford Track, regarded by many as the finest walk in the world, is located amidst the temperate rain-forests in the Fiordland National Park in the South Island of New Zealand. The track is 53.5 km long (33.5 miles) with a climb of around 3800 ft and it takes 4 days (and 3 nights) to walk the entire track. I hope this blog post serves as a useful resource for anyone planning this backpacking trip. Cost - The guided option could cost you anything between 2500 NZD to 3500 NZD. This is roughly 5-7 times the cost of unguided option (500 NZD to 600 NZD including transportation to and from Queenstown). Fitness Level - Backpacks in the guided option weigh 5 to 10 pounds lesser as you don’t have to carry food and additional clothes (you’ve driers in the Ultimate Hikes dorms). Time - If you didn’t have time to plan the trip or missed the reservation with the DOC, then you might prefer the guided option. The rest of the post is about the unguided option. When To Go - The walk is open during Oct 24 to April 30. As the weather is unpredictable, it’s hard to predict a particular time during the 6 month period. I went in the last week of December and we were really lucky with the weather as we had 3 sunshine days. Weather - It rains (or snows) 300 days a year in this region and the track also contains multiple Avalanche-prone areas. The weather could get extreme making some areas impassable and in these cases, you’d be taken out in a helicopter. Come prepared to hike in rain and carry extra food in case you’re stuck in the hut due to bad weather. Sandflies - There are sandflies everywhere (especially near the lakes and huts). Consider buying a sandfly repellent before you start the hike. Fitness - Walking the track requires a decent level of fitness. Remember to stretch in the evenings after the hike and mornings before you head out. You might also want to consider bringing a pain relieving cream like Bengay. Sandfly repellent - We took 1 natural (for the face) and one spray with alcohol. Pain Relieving Cream - Something like Bengay. You’ll be sore on Day 2 and Day 3 and this is a big must. Body Wipes - No showers! Pack Liner and Pack Cover - Pack liner to cover the contents of your pack and pack cover to protect your pack. Hiking Pole(s) - I think 1 pole was sufficient for us but I can imagine the weather conditions to be tough where you might need 2 poles. For your hiking base (the place where you stay before and after your hike), you could either pick Queenstown (5 hours to and from the track) or Te Anau (2.5 hours to and from the track). We decided to stay in Queenstown as we didn’t have a car and there was convenient public transportation from Queenstown to the Milford Track. We stayed at Queenstown (a lovely town!!) and found it very convenient. We left our hotel at around 6:30 in the morning and reached Te Anau town at around 9 am. We picked up our DOC tickets, had breakfast and spent time by the lovely Te Anau lake in the morning and boarded the bus to Te Anau downs at around 12 PM. The ferry from Te Anau Downs departed at 1 PM and we were at the Milford Track starting point at around 2 PM. The first day is relatively is easy - a flat 3 mile walk from the starting point to the Clinton Hut. You’ll cross the Clinton river on a swing bridge and walk along the Clinton river for the most part of the hike. We had a lot of energy (and time) and hence took multiple photos and stopped at many places. We started for the second day at around 8 am and walked along the Clinton river for a few hours. The first 6-7 miles is flat and we were walking in the rain-forest area. You’ll soon have the first views of the highest point of the hike - the Mackinnon Pass. After having lunch at the Prairie shelter (a quick lunch due to the sandflies), we continued our journey to the Mintaro Hut. The last mile has a steep ascent (roughly 1000 ft) and we reached the Mintaro Hut at around 2 PM without meeting anyone on the trail. Most of us were sore at the end of the day and hence we needed rest. There’s a lake nearby where you could go swim. If the weather prediction for the following day is cloudy, you might consider the climb to see the Mackinnon Pass (2 hours for the climb). We started the third day even earlier at 7 30 am and started the climb to Mackinnon Pass. After 17 switchbacks and 2 hours, we were at the top!! We were greeted with superlative views of the Clinton valley, Clinton river and the Arthur valley. We had lunch at the Mackinnon shelter and started our descent (3800 ft!!) down to Dumpling hut. The descent is as hard as the ascent (if not harder) as the surface is rugged full of rocks. We stopped by the Pompolona lodge for some water (didn’t go to the Sutherland falls) and headed our way to the Dumpling hut (with a view of the Sutherland falls on the way) at around 4 PM! We were really lucky for 3 sunshine days!! We started the fourth day even earlier at around 6 45 am and it started to rain at around 8 am. We were protected by the trees as we were mostly walking in the rain-forest and the rain makes the track look even more beautiful. Multiple vista points for the day - the boat shed, McKay falls, Bell Rock, Lake Ada, Giant gate falls and finally at the Sandfly point. You’ll walk on multiple swing bridges, cross many creeks and will feel like you’re walking in a Lord Of the Rings movie set throughout the day. We reached the Sandfly point at 1 PM and boarded our boat to Milford Sound. What a wonderful 4 days it was!! It’s NOT a race - Take your time on the track. Get Good Gear - Usually the difference between a great and a terrible experience. Respect the environment - Take out what you bring in, don’t flush items in the toilet. Get to know other people - We had a great time talking to other people and getting to know them! Know your limits - Take it slow !